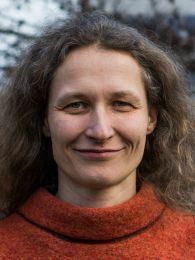 Birgit has a background in economic mathematics (University of Leipzig) and holds a PhD from the Institute of Environmental Systems Analysis, University of Osnabrück. During her research at the Helmholtz Centre for Environmental Research – UFZ in Leipzig she was engaged in different interdisciplinary research projects with ecologists, geographers and economists. In these projects she used ecological-economic modelling to explore impacts of human land use decisions on livelihood security and sustainability in coupled social-ecological systems. Case studies focus mainly on the impact of policy instruments on smallholder strategies to cope with climate risk in semi-arid regions of Africa and in the Tibetan Highlands. Birgit likes exploring nature and using wild plants for cooking and colouring wool. 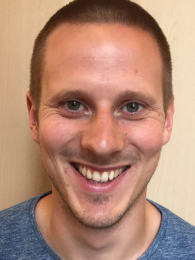 Gunnar is a Postdoc at the Department of Ecological Modelling of the Helmholtz Centre for Environmental Research. Within POLISES, he focuses on aspects of mobility of pastoralists and livestock and how polarization between different pastoralist groups can arise, respectively how policy instruments can be used to reduce the inequality between poor and rich herders. 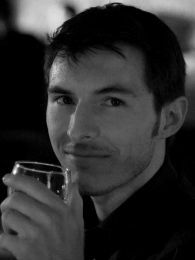 He is also interested in the representation of human decision making in agent-based modelling. 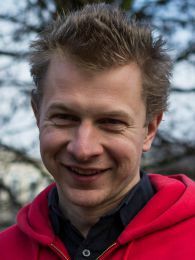 In 2010 Gunnar joined the UFZ and has since then worked in the collaborative research centre “Difference and Integration” and the EU FP7 research project “emBRACE – Building Resilience Amongst Communities in Europe”. 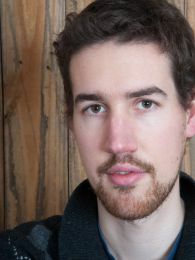 He graduated from the University of Greifswald in 2011 and holds a Diploma in Biomathematics. For his Diploma thesis he worked with researchers of the University of Maryland on an analysis of spatial and temporal patterns of global vegetation dynamics, using remote sensing data. Gunnar loves photography, good coffee and trying out new delicious baking recipes. Meike has studied physics at the University of Leipzig. She is interested in applying theoretical concepts to practical issues in different research areas. She joined the UFZ for her Master thesis on microbial predator-prey systems in 2016. As a PhD student, she will combine the approach of agent-based modelling with social network analysis to explore the effects of microinsurance on safety nets and natural resource use. This model-based analysis is guided by case studies on drought insurance in eastern Africa and health insurance in Cambodia. In her free time, she likes to read a good book and explore the mountains while climbing, biking or snowboarding. David has a background in Middle East Studies and Computer Science. From 2008-12, he was a member of Collaborative Research Centre 586 with the University of Leipzig and the UFZ. Apart from facilitating the administrative side of things for POLISES, he provides the modellers with qualitative insights and quantitative data from his empirical fieldwork among pastoralists in the eastern Moroccan steppes and the High Atlas mountains. In his spare time, David is active in a housing co-op and enjoys distance running. 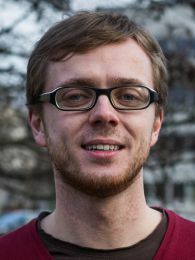 Martin has studied Mathematics in Würzburg and Jena. After going deeper and deeper into abstraction for six years, he decided to have a closer look on application now. The topic of his internship at POLISES is how different types of farmer behaviour can change land use. 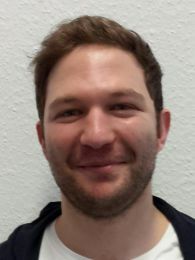 He is strongly interested in methodological questions regarding agent-based modelling as well, and, being still at the beginning of his journey into applied sciences, he will broaden his interest and maybe find a topic and a supervisor for a PhD position afterwards. In his spare time Martin likes making and listening to music, reading and social activities of any kind. Hendrik studies Environmental Systems and Resource Management at the University of Osnabrück. In 2017, he wrote his master thesis at POLISES, in which he compares different risk-coping strategies of pastoralists with respect to their long-term ecological and economic impacts. He is interested in modelling human decision-making using the agent-based approach and in searching ways for a system transformation towards a sustainable world. Hendrik likes football, reading the newspaper with a cup of coffee, and discussions of political and sustainability issues. Filipp is a master's student in physics. He is interested in complex systems and system dynamics, particularly the application of mathematical-physical methods to socio-ecological problems. During his training he wants to learn something about the dynamics of poverty traps. Filipp did his bachelor and is now working as a student assistant in the surface/interface science section in Halle (Saale). A scholarship from the Hans Böckler Foundation gave him the opportunity to study and engage in socio-political areas like intercultural exchange or anti-racism. 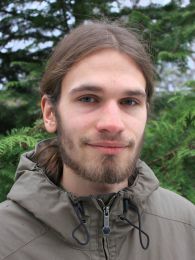 Niklas Hase was a Research Assistant at the Department of Ecological Modelling of the Helmholtz Centre for Environmental Research for 20 months. From 2007 to 2014, he studied Mathematics at the University of Leipzig. Within POLISES, he explored social-ecological side effects of policy instruments in eastern Africa. To do so, he used Social Network Analysis to understand the interplay of informal insurance within risk-sharing networks of pastoralists and formal insurance schemes like index-based insurance. 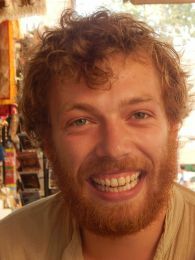 Apart from that, he is part of a community-supported agriculture project and plays ultimate frisbee. Further fields of interest include philosophy, some politics and alternative forms of society. Felix holds an M.A. in Sustainability Economics, focusing on human-environment interactions (using agent-based models) and decision-making processes of boundedly rational agents. 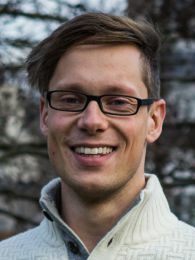 Felix joined the POLISES group in January 2015 and analyzes the economic and ecological (side-)effects of index-based insurance for East African smallholders. Other research interests include human decision-making in complex situations, agent-based modelling in the social sciences, the transition towards sustainability, and behaviourally-informed policy design. Felix is a passionate singer in different choirs and likes playing racket sports (table tennis, badminton, squash). I just finished my studies of maths and politics at the Universities of Dresden, Leipzig, and Torino (Italy). Now I wish to better get to know the interaction between these two spheres of science and policy instruments during my internship here at POLISES. Therefore, I'd like to help create an educational game that shows the impact of our consumption behaviour here in the industrialized countries on pastoral-nomadic systems in the global south, and learn more about agent-based modelling as a possibility of simulating unintended political and financial side effects. In addition, I like to explore alpine passes or abandoned industrial areas by bike, cook pasta fresca, and chop wood. Anne has studied Economics and Psychology at the University of Halle (Saale). 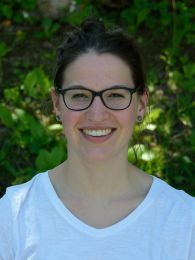 Since October 2018, she is a Master student at the University of Dresden in Psychology (Human Performance in Socio-Technical Systems). Anne is interested in sustainable behavior in terms of sustainable consumption and sustainable lifestyle. She joined the UFZ as an intern to support the research on behavioral economics. For modeling the heat sector until the year 2050, she researched heat-relevant behavior of industrial companies. Currently, Anne contributes to a literature research on farmers’ behavior. She will focus on theories of behavior and behavioral change which are foreseen for integration into agent-based modeling. 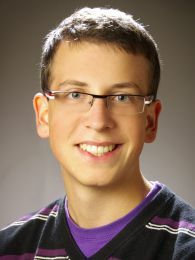 Jakob studies physics at the University of Leipzig and did his Bachelor at the University of Göttingen. In particular he is interested in techniques to teach complex topics from science. Thus he is doing an internship in the POLISES group and develops a concept for a web based learning game, which teaches secondary class students the global links between decisions of themselves as consumers and food security in the global south. Jakob likes walking through nature, cooking and hiking in the mountains. I study Geography and NwT (natural science and technology) in Tübingen. Normally, with my studies, I'm going to be a teacher in secondary school, but for my orientation and knowledge I prefer to make my experiences outside of the educational system of Baden-Württemberg. From January through April 2016, I was part of the POLISES group, working on (board) games about the issue of land use by smallholders in developing countries.